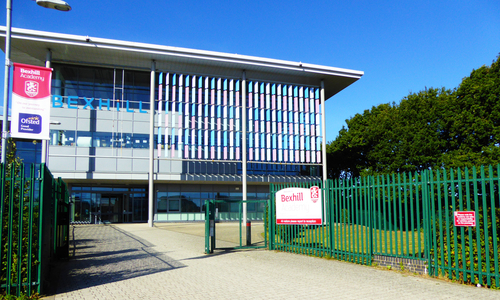 At a cost of £38 Million and 5 years in the making Bexhill High School in East Sussex has been branded “School of the Future”. With an internal area of 11,500sq m spread over three storey’s, it educates young person’s using pro-gressive learning methods via pod learning zones of approximately 250sq m containing 90 students and 6 staff. Cavendish Cabling a division of the Cavendish Communications Group were selected through Halsion the mechanical and electrical contractors and Kier the Main Contractors to install the data infrastructure in the new school building for the East Sussex County Council. With over 20 years experience the Cavendish Cabling team were able to demonstrate the ability and expertise to carry out an installation of this size and profile. The Cavendish Cabling team recommended the Siemon 10 Gb/s F/UTP cablings system as the optimum solution. The shielded cable ensures that the required performance is achieved. The communications system design included four „Comms rooms‟, one of which was the primary server room. The individual Comms Rooms accommodated a quarter of the building through each of the three floors and comprised approximately five hundred Cat 6A data circuits. All of the Comms Rooms are inter connected using a 10G OM3 fibre optic cable, with a link to the existing school. Cat 6A copper links were also installed between each cabinet. The cabling solution installed guarantees present and future applications including the IP CCTV and Biometric Systems will work reliably.